We know, as a dedicated golfer, you love to save money. Here's our 3 hottest packages. 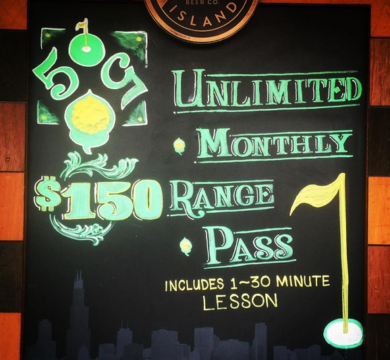 Unlimited range balls for 30 days from the date of purchase. One (1) private lesson with Head Golf Pro, Janet Robbins. Advance notice of all events, league information and special offers from 5050 Acorn Golf. Private lesson with Head Golf Pro, Janet Robbins. Large bucket of range balls. 6 Private lessons with Head Golf Pro, Janet Robbins. 6 Large buckets of range balls. For less than the cost of a private golf lesson, Janet can conduct a state-of-the-art individual online swing analysis.